Continuing along this week’s theme of Things Jenny Cooked from Cookbooks While on Assignment, I’d like to present to you one last mind-blowing recipe: Joe Beddia’s Asparagus Pizza with Lemon and Spring Cream from his new book Pizza Camp. I don’t think it should come as a surprise to you that we eat a lot of pizza in our house. Seven years ago, when I was just starting this blog, Jim Lahey was the one to convince me that making it from scratch — dough and all — could be almost as fast and almost always more rewarding than dialing delivery. Pizza was both a family-friendly vehicle to showcase farmer’s market finds as well as an end-of-the-week depository for whatever was left in the fridge. As long as you have some dough defrosted, it’s the easiest thing in the world to roll out, top with cheese (or no cheese) and the last of the vegetables (or charcuterie spread), and call it dinner. 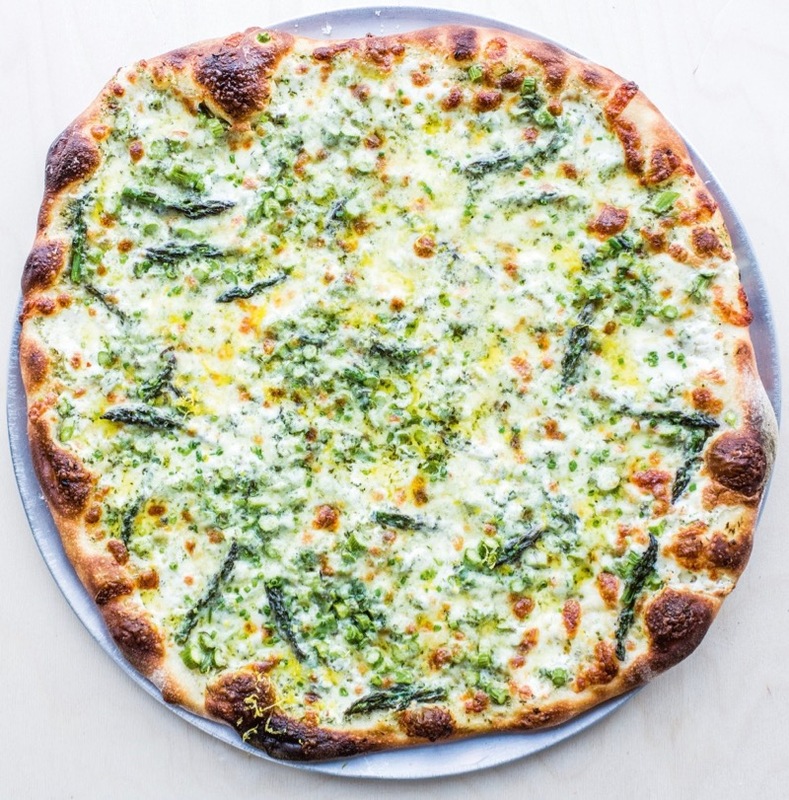 But to be clear, the asparagus pizza recipe below, from Beddia’s Pizza Camp, is not one of these throw-it-together-and-hope-for-the-best weeknight numbers. Beddia, who runs Pizzeria Beddia in Philadelphia did not earn his around-the-block lines by seeking out shortcuts. (For way more info on him and his book, please refer to the full round-up.) This pizza took me more than a day to make from start to finish, mostly because it calls for the dough to ferment in the fridge for 24 hours, a step very much worth taking if you had the foresight to plan for it. But if you didn’t, don’t worry. Even Beddia concedes you can use store-bought dough (he recommends buying one from your local pizzeria) and following his instructions from there. Might I recommend making it this weekend, while the asparagus is still abundant and the weather won’t prohibit you from turning your oven to 500°? Might I also recommend making two of them because the first will go very fast? Also, a nice little end-of-the-week giveaway: I’m offering a free copy of the book to one commenter at random. Contest ends Saturday, June 10 at noon ET. Good luck! Update: The winner has been notified. Congrats Angela and thanks for playing everyone! Regarding the asparagus: You need to make sure that you get rid of the woodsy, inedible bottoms. The freshest cut stuff that you find at the farmers’ market is always best. Slice the spears into little coins. The thinner the better. Place your stone on the lowest shelf of your oven, then turn your oven to its highest temperature. Most ovens go to 500°F (260°C) and some to 550°F (287°C). Heat your stone for at least one hour before baking. If you’re taking your dough out of the fridge, give it about 15 minutes or so to warm up a bit so it will be easier to work with. It should have doubled in size in the fridge. If it hasn’t, let it sit at room temperature, covered with a slightly damp towel, until it does. Lightly flour your counter and your hands. Flip the dough into the flour bowl so the top side of the dough ball gets dusted first. Flip it once more, making sure that the dough is completely coated. Press the dough down into the flour, then pick it up and place it on the floured countertop. Pressing your fingers firmly into the dough, start by flattening the center and work your way out toward the edge to make it wider, until it’s about 7 to 9 inches (17 to 23 cm) wide. Pushing down on the dough will release some of the gas and actually begin opening up the dough. Be careful not to disturb the outermost lip. This will eventually become your crust. The next step is a bit tricky. Your goal is to take this disc of dough and carefully stretch it to about 14 to 16 inches (35.5 to 40.5 cm) without tearing it or creating a hole. I pick it up with floured hands and begin to gently stretch it over my fists, letting gravity do most of the work. Once you’ve stretched it enough, put the dough back on the counter, making sure there is a generous dusting of flour underneath. Take a few generous pinches of semolina flour and dust your pizza peel. Make sure it’s coated evenly. Gently lift and transfer your dough to the peel. Make sure both your hands and the peel are well-floured. You are now ready to dress your pie. Cover the dough with the spring cream, then add the mozzarellas. Now I like to add a very liberal amount of asparagus. Season with salt. Transfer to the oven and bake for 4 minutes. The crust will rise significantly. Then change the oven setting from bake to broil, cooking the pizza from the top down until the crust begins to blister. The residual heat of the stone will continue to cook the bottom. (If your broiler is at the bottom of your oven, skip this step and continue to bake the pizza as described.) I cook all my pizzas until they’re well done, which could take up to 10 minutes total (sometimes less). Just keep checking so you don’t burn it. Look for the cheese to color and the crust to turn deep brown. It may blacken in spots, and that’s okay. Finish with the grated hard cheese, a drizzle of olive oil, a spritz of fresh lemon juice from the wedge, and the chives. Combine all the ingredients in a food processor. Blend until slightly emulsified. It will keep in the refrigerator for about 5 days. This Pizza for our Friday night Pre-Show concert? Yes! I’m so excited to make this pizza! The spring cream sauce sounds amazing. Thanks for the chance to win! This looks delicious! We often make a pizza with lime juice inspired by Berkeley’s Cheese Board Pizza, but have yet to use lemon. I make homemade pizza every Friday night, but it’s more of the quick and easy type. This pizza looks amazing though, and I’d love to see the rest of this book! I’ve just begun experimenting with homemade pizza with my 3 year old. This sounds like a great resource! I wonder how much spring cream is needed for 1 pizza. I don’t want to make such a large batch of the cream. Thank you. Looks amazing. This looks great! I’d love to mix it up with the pizza I make for my family. Unfortunately, one of my kids doesn’t like pizza, but maybe with some creative topping ideas and a different name, she’ll give it a shot! We make homemade pizza every weekend and I love using a 24 -48 hour dough. This pizza looks amazing! Wow! That’s one heavenly looking pizza! I’ll have to add it to the list of new recipes to try. And I picked up Melissa Clark’s new book, based on your recommendation, and can already tell it will be in heavy rotation. Looks delicious. Adding to next week’s menu for sure! Wow, that sounds amazing! Perfect for a lazy summer evening…I will definitely be making this soon! My family and I could not live without pizza. My formerly adventurous 3.5-year-old is going through a very picky phase right now, but she’ll never turn down a slice. All the heart eye emojis for that lead photo. I made shortcut naan mini- pizzas for my kids’ lunchboxes this morning. Must make one from scratch asap. Yum, this looks amazing! How do you think this would do on a grill? We made this on the grill tonight. But with Jim Lahey’s crust. It was already made from a few days ago. Pizza was great. Grilled the crust for 2 minutes on 1 side, flip for 1 more minute. Then dressed the pizza. Put it back on grill for a minute and a half. Then quick broil for color. My dad’s mother, Giovanna, taught my family how to make a wonderful pizza crust. Pizza, of course, is one of our favorite foods, but we are very picky! This book looks perfect. I got my pizza stone eons ago. It is a great tool for a great many things. Made two batches of Jim Lahey’s pizza crust this morning. His recipe is the first I’ve tried that worked well. Fingers crossed that I didn’t rush it too much! Next time, I’ll be prepared with these toppings–looks amazing! That pizza looks amazing ! 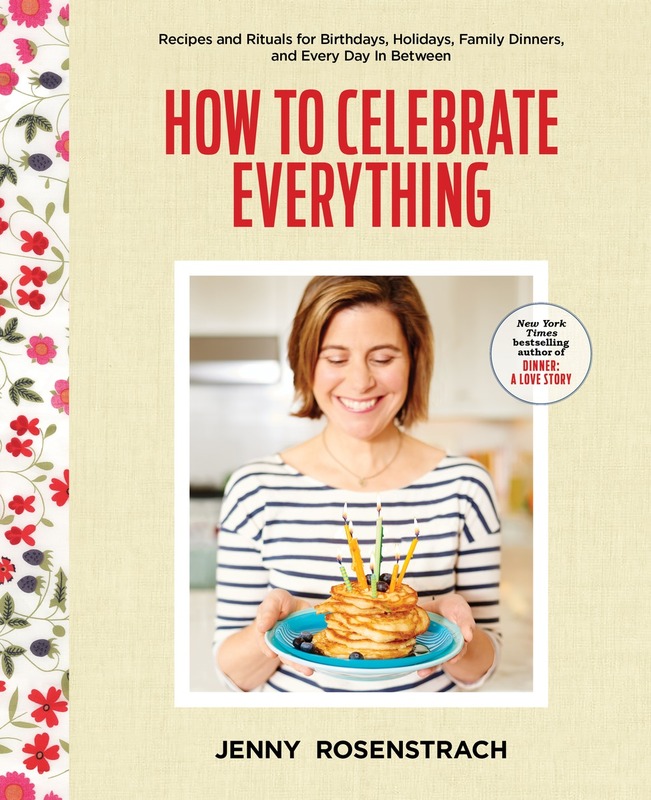 I also got your most recent book ‘How to celebrate everything’ out of the library and I’m loving it so much! 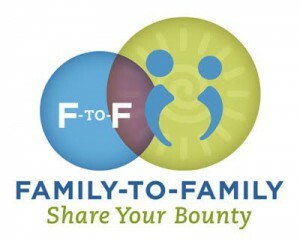 Thanks for all you do – and share! Oh man, we make pizza almost every week (dough courtesy of local pizzeria). Would love to have more options in my pocket! Looks devine! I’ve been eyeing his book but I just bought Melissa Clark’s and Tartine’s! We have homemade pizza night every Friday. Makes dinner easy and I know my kids will eat it! Pizza is a weekly meal at our house! I could eat pizza everyday, for every meal. It would be the first thing I’d bring with me on a deserted island. I cant wait to try this recipe, Jenny. I have a library copy of this book at home and I dread returning it. Joe Beddia’s writing is hilarious and he is so clearly dedicated to such a worthy cause. I have a batch of his dough rising in fridge right now. Looks amazing! Would love to try. I use a vegetable peeler to create long thin asparagus ribbons (draped lavishly over pizza, maybe with an egg on top, but I’d skip a humble egg in favor of the amazing basil-fennel-lemon cream). Asparagus “coins” don’t cook as fast and don’t get as tender with the short cooking time this pizza takes. One variant on the Spring cream that I often use on pasta is mixing equal parts pesto and sour cream. Could be too rich for this pizza though. Can’t wait to make this recipe! Looks delicious. Can’t wait to try this pizza! I have cooked through Dinner a Love Story, every recipe has been amazing. Cooking the Pork Ragu for friends tomorrow night! One of my hidden talents is tossing a pizza as that was my high school and college job. Eager to try his recipe! Lemon makes everything better. Oh how fun! I love a good tangy, thin-crusted pizza. Asparagus wouldn’t hurt either. This look amazing! I’d love to win a copy of the book. This looks delicious! The spring cream sounds wonderful and versatile. I just bought some garlic scapes, so I think I’ll add those. Just the name spring cream is lovely! This looks amazing!! Have been so looking forward for this book to come out! I love making homemade pizza but I’ve been in a just cheese and pepperoni rut so this looks delicious! Yummmmm! We love pizza in our house. I have two little boys and one big boy in this house who fervently believe that pizza is a food group. Have to check this out for horizon-expanding. Incredible pizza…..can’t wait to try this recipe! Yay, pizza! I hope I win! Lime is an interesting idea! My favorite thing to do with homemade pizza during the summer “garden months” is to sprinkle fresh, chopped basil and rosemary over the pizza when it comes out of the oven. It smells divine and looks beautiful — especially if you combine green and purple basil! Love homemade pizza on the weekend, have a ton of asparagus in the fridge and this will be a great way to use it. Getting going on the dough! This sounds great. We are really serious about homemade pizza in our house and usually make a 24 hour dough but I am always looking for new techniques and tips to up our game. Sounds really good! I don’t know if I have the skill to pull it off though. This looks fantastic — and inspiring! I think it’s going to be Saturday night’s dinner! Would make pizza fridays that much better! Fingers crossed – I love pizza and would love to win! This book is on my must read list but my local library doesn’t have it yet! Looks absolutely yummy and I still have some asparagus in the garden…. OMG, I just finished a Whole30 and can’t wait to make this pizza! I have been obsessed with this book. That cream sauce alone sounds amazing. Ive always wanted to try making pizza dough at home but have been intimidated by the 24 hr process! One can never have too many pizza recipes! Loved the Bon Appetit good cast with Joe Beddia on it. Would love to get my hands on this book! I am mildly obsessed with seeking out the best pizza and techniques. This book and pizza both look great! This sounds divine – I need more pizza in my life! This pizza looks phenomenal! That crust sounds divine! I can’t wait to get my hands on a copy of this book! 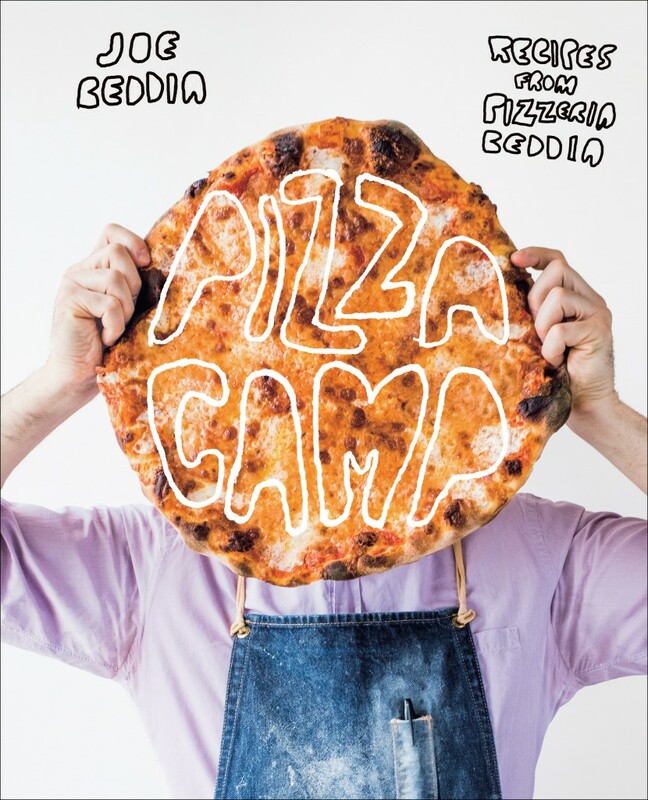 Oh I just heard about the Pizza Camp book yesterday on NPR! My 2 girls roll out their pizza dough and pick their own toppings. They love having control over what’s on their pizza and eat it happily for dinner. Would love to win the book! Listening to Joe’s interview on Bon Appetit’s podcast was great, now to try making that dough. One of our rituals is Friday night homemade pizza. This book sounds like a great source for new topping ideas. Yum! Love anything that helps make pizza night better! Thanks for the chance. We love homemade pizza. There is nothing better than anything homemade. Yum!! That pizza looks delicious!!! Love that addition of lemon – I can almost taste how it would make the flavors pop! It’s Pizza Friday in our house…might just have to give this one a try! Oh, my goodness, that pizza sounds insanely delicious! I’m allergic to wheat, but am going to try this on a homemade gluten free crust…..and that Spring Cream could be used on so many other dishes! Wow! This looks amazing. I haven’t had good luck making my own dough…time to try again! Delicious!! That pizza looks amazing. Thank you for always providing much needed inspiration! P.S. You also inspired my husband and I to drive 3 hours with a toddler in tow to Sally Bell’s Kitchen and it was so worth it! Looks delicious!! We love pizza at our house! This pizza looks delicious! Thanks for the chance to win! We have pizza at least twice a week! Cream sauce has always terrified me, but this makes it look so easy… I would love to win this book! Thanks! Pizza and cocktails! Hello summer. I’ve been making pizza at home for a while now and not only is it fun to make with friends and family, the freshness alone makes it well worth the effort. I use a pizza stone and set my oven to 500 degrees for at least 45 minutes to an hour before the pizza goes it – it assures the crust to be crisp like a cracker when the pizza is done! I usually start the dough first thing in the morning so it will be ready for dinner. I only use fresh mozzarella or buffalo mozzarella and Parmesano Reggiano, fresh basil and the freshest tomatoes you can find, which is easy this time of year! It’s a messy process, but we all enjoy the end result. I can’t wait to try this one! Fridays are pizza and movie nights are our house. Just might have to get this book! I’ve never made pizza at home, but would like to try! Well this recipe just looks yummy, as does this book. Will have to try it for our Pizza Friday! We’ve gone out to dinner at our local (Neapolitan) pizza place every Friday for the past two years. Nothing better than Pizza Fridays, am I right? I’d love to have this cookbook! We live not far from Philadelphia, but I can’t get excited about taking my (little) kids and waiting in line to get pizza for takeout – his place has a reputation for being crazy!! I make homemade pizza at least once a week and would love to have this book! this pizza looks delicious!!! I work at a pizza place in boston and am always looking for fun new ideas for making pizza at home! I read all the way down to the page-turner (for me): 4 cups of heavy cream????? pass…but i would love to see what else is in that book! We are a Friday Night Pizza family, and i always use Jim Lehay’s pizza dough recipe. It may be time to up my game. Friday night is always pizza night here. 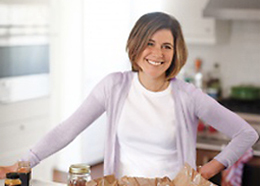 I’d love to mix it up with some new recipes! I could eat pizza daily!!!! I used to make a lot of homemade pizza when my kids were young, they were great but pretty basic. Maybe it’s time to start exploring something new in pizzas. Yum! This book could really elevate our Pizza Party Friday tradition!! me me me! i am going to start this pizza tonightttt. I have no plans this weekend (!yay!). Pizza time for me and the dog. She get the crust. For my husband’s 40th birthday, we went to NYC and ate nothing but pizza (his very favorite thing) for every meal for two days straight. He loved it but it ruined him for our local pizza (all he’s ever known) for good. Would love this! Yum! Homemade pizza is the best – we’ve been having fun grilling it lately. The spring cream looks so beautiful! that looks so amazing- there is no way I wouldn’t eat the whole thing myself! YUM! I love pizza and got into your “date night pizza” with arugula this winter. This summer’s task: conquer grilled pizza. I’ve been following your blog for awhile now, and I think it’s time I tried homemade dough even though it scares me. Thanks for the inspiration and all the great blog posts/recipes! Father’s Day. This cookbook would be a perfect topper. Definitely going to try this recipe! Thanks. I need this..or I need to roll up my sleeves and just make one of the recipes in DALS. I have 3 kids who love pizza & I always order it. They love to make it themselves, but I’ve been unsatisfied with the meh store bought doughs. I love everything you make. I cook from here at least once a week.! This looks terrific – i love asparagus this time of year! This looks amazing!! Thanks for another great post Jenny!! I just had a baby and my friend came over and made us homemade pizza. It was such a nice gift. She used asparagus on the pizza. It was my first time having it on pizza and it was really enjoyable. This looks amazing. There’s a pizza shop in Toronto that did a similar pizza last spring. I still dream about it!! I’m swooning! The description sure beats our usual “stretch a ball of dough and chuck it on a pizza pan” method. Our ritual Friday night pizza was switched out for our daughter’s birthday–now I know what we are having tonight! What a photo! And I just happen to have farmer’s market asparagus and backyard chives! Pizza is our thing and now I have a new resource for more good recipes. Thanks for the heads up. Making pizza dough from scratch is on my “bucket list” for this year! I’m going to check out this book for sure. I love the idea of this cookbook! My daughter’s social media name is megpizzalover. 🙂 So clearly, this book resonates! Asparagus on pizza is such a spring treat. We love to make homemade pizza. Pizza Camp is at the top of my wishlist! Can’t wait to make this! I bought the book a few weeks ago after hearing him interviewed on the Bon Appetit podcast and I made the sausage and fennel pizza and the corn and cherry tomato pizza-both were wonderful. I will try the asparagus pizza next. I have been making my own dough using various recipes, including Jim Lahey’s, and I think so far that I like the dough from Pizza Camp the best, it reminds me of the pizza that we used to have growing up in New Jersey ,I now live in California and the pizza is different! I’m too late for the contest but I just checked out this book from the library and cannot wait to incorporate some of these recipes into Friday night pizza night!!! Thank you for turning me onto his no-cook pizza sauce. Tried it last night on grilled pizza – total game changer! Thursday night is pizza night at our place. Would love the book. I am SUCH a fan of the Jim Leahy method for pizza dough, that I can’t imagine actually flouring my counter and rolling out dough. The toppings sound great though, so I think I’ll take my chances on not using Joe’s dough. Heard his Bon App podcast and enjoyed it very much! Give me all the pizza! Can’t wait to try this recipe out. thank you for sharing this pizza recipe! So different, love it! Spring Cream looks wonderful, love the lemon and basil flavors for pizza, so glad I found this! my go-to pizza dough is from Mark Bittman’s How to Cook Everything for day of pizza. When I think of it, the night before I use Cooks Illustrated’s recipe which has a cold rise overnight in the fridge. I’m interested to try this dough and see how the flavor compares. And I love asparagus anything so this topping is right up my alley! I use a Pampered Chef stone pan because I love corners on my pizza! I want this asparagus pizza >.< So delicious. Thank you for the recipe! I'll definitely try it! I liked your suggestion of using spring cream on your pizza’s crust. That does seem like it would help make your pizza’s taste even better. I wonder if pizza restaurants do something similar to their crusts to make it so addictive.